Bhagavan Sri Sathya Sai Baba is revered and worshipped as an Avatar, the Divinity Incarnate by lakhs of people worldwide. Avatars are divine beings who descend (‘avatarati’ in Sanskrit) on planet earth for specific divine purposes to raise humanity to their ultimate divine possibilities. It takes an Avatar to indeed recognize an Avatar, who exist in the oneness experience of superconsciousness. 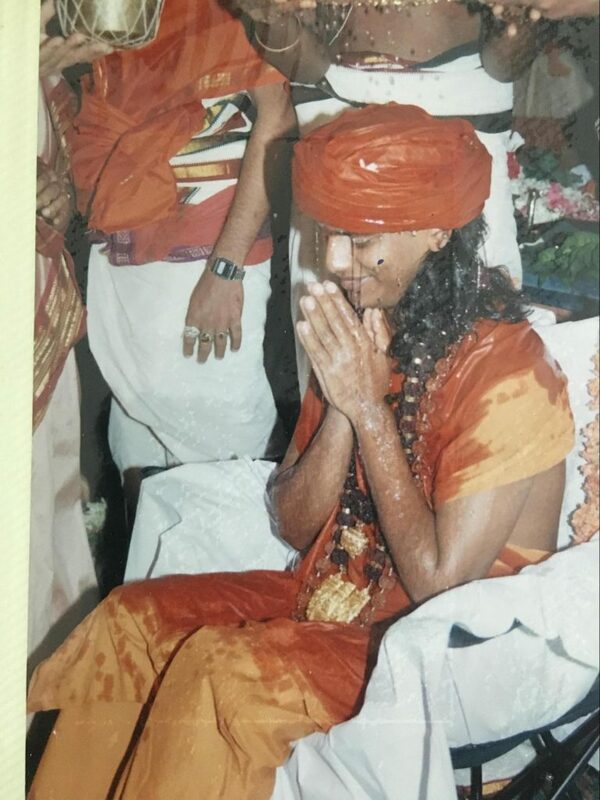 On 12th June 2004, Bhagavan Sri Sathya Sai Baba personally sent and gifted three divine items to His Holiness Paramahamsa Sri Nithyananda, formally coronating him as The Avatar (incarnation) as per Sanatana Hindu Dharma. 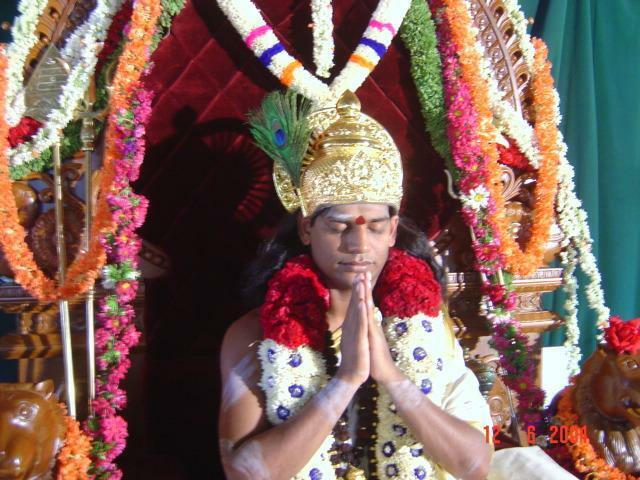 The divine items offered onto Paramahamsa Sri Nithyananda Swami were Swarna Padukas, two sacred sandals made of gold and Kirita, the divine crown made of gold – which formally symbolize and officiate Swami Nithyananda as the Avatar, direct physical manifestation of divine superconsciousness who has incarnated in the human plane of existence. Bhagavan Sri Sathya Sai Baba is revered and worshipped as an Avatar, and Incarnation as per Hinduism by millions worldwide. Avatars are divine beings who descend (‘avatarati’ in Sanskrit) on planet earth for specific divine purposes to raise humanity to their ultimate divine possibilities. It takes an Avatar to indeed recognize an Avatar, who exist in the experience of Oneness with the superconsciousness. 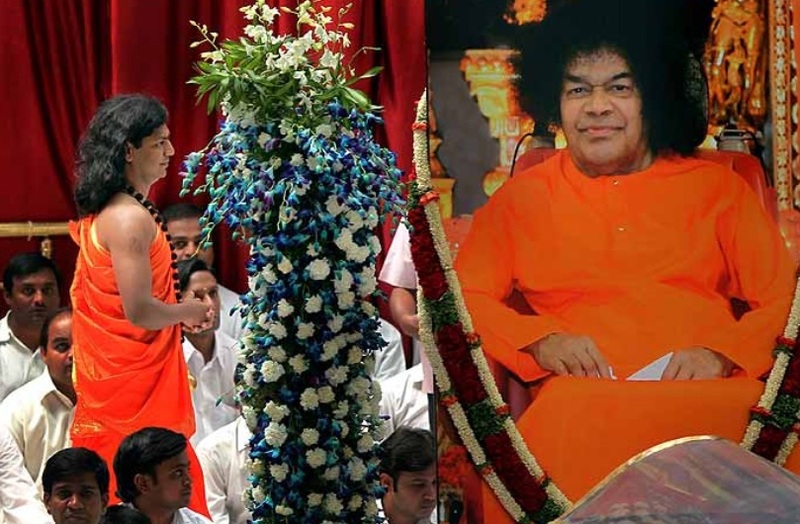 It was on the historical day of 12th June 2004, Bhagavan Sri Sathya Sai Baba personally sent as a gift three divine items to His Divine Holiness HDH Sri Nithyananda Paramashivam, formally coronating him as The Avatar (incarnation) as per Sanatana Hindu Dharma. 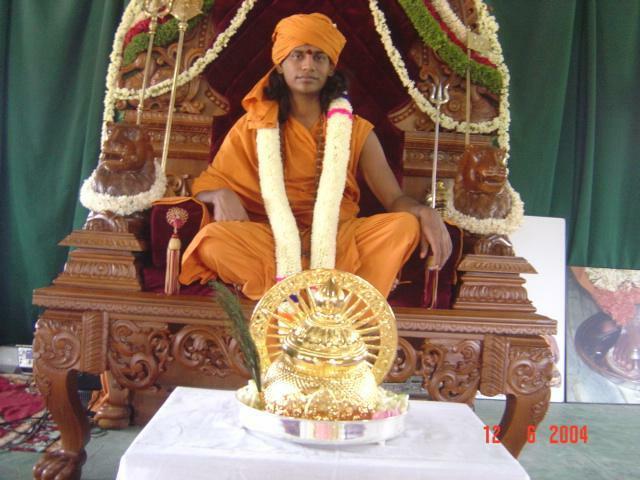 The divine items offered onto HDH Sri Nithyananda Paramashivam Swamiji were Swarna Padukas, two pairs of sacred sandals (called Padukas) made of gold and Kirita, the divine crown made of gold – which formally symbolize and officiate Swamiji as the Avatar, direct physical manifestation of divine superconsciousness who has incarnated in the human plane of existence. 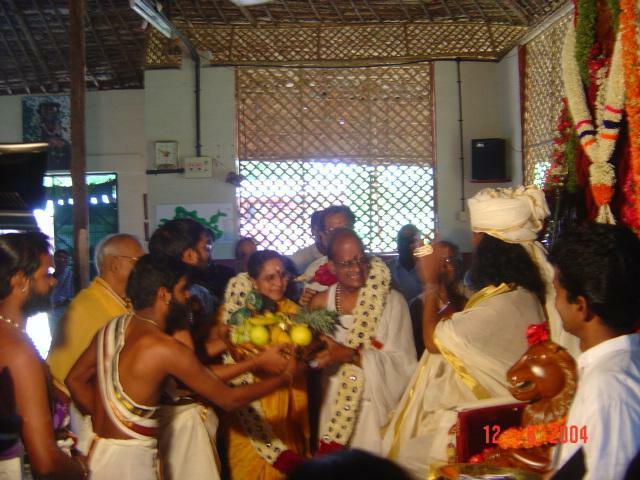 Of the two padukas offered, one was to be kept for people to offer their prayer and respects, and the other for His Divine Holiness’ personal use. The President of the Shri Sathya Sai Trust, along with a group of devotees of Bhagavan Sathya Sai Baba visited the Bengaluru Aadheenam, Nithyananda Peetham on 12th June 2014 and reverentially performed homa (the ceremonial sacred fire ritual) and Paduka Puja (sacred prayer and offerings at his feet), and made these divine offerings of Swarna Padukas and Kirita. The coronation ceremony of an Avatar by another Avatar is very rare and holds not just the traditional significance of honoring the Divinity embodied in the Avatar, but also holds the cosmic significance of declaring onto the world the spiritual legacy and unbroken lineage of Avatars. This is an ancient practice in Hinduism. For example, according to Hindu history, ages ago Bhagavan Parashurama (the Avatar of Shri Vishnu) recognized the Divinity in Sri Rama (new Avatar of Shri Vishnu) by gifting him the celestial Bow of Vishnu, which can only be held by an Avatar of Vishnu alone. 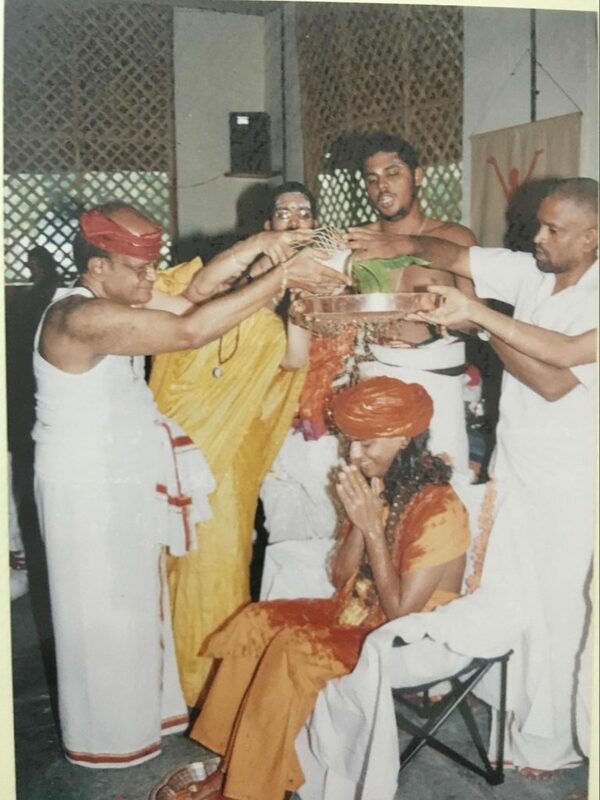 In this current age, it is a rare occurrence of Bhagavan Satya Sai Baba coronating and gifting divine items to The Avatar HDH Sri Nithyananda Paramashivam, signifying the traditional honoring of His Divine Holiness for his superconscious state and his divine responsibility to spiritually lead the world and raise the humanity to their Divinity. 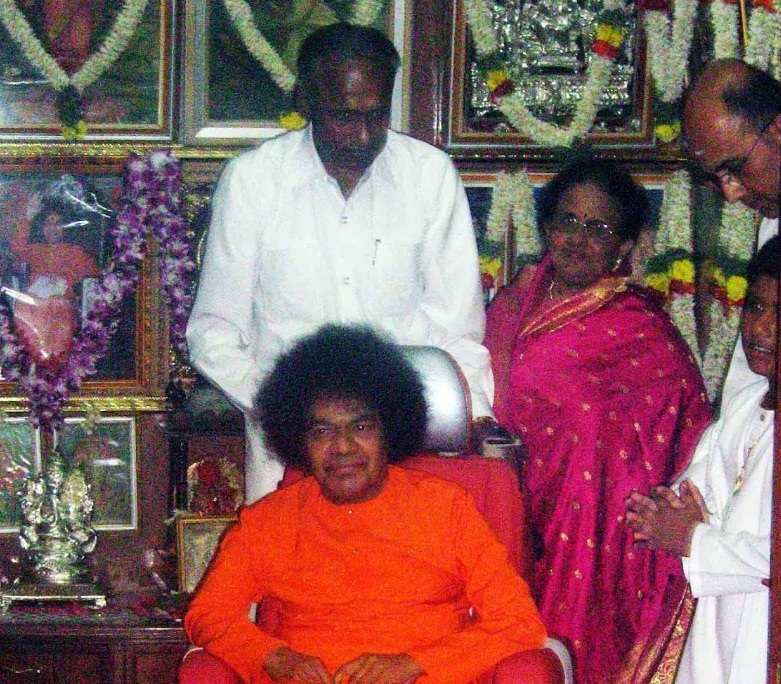 BANGALORE, India–(BUSINESS WIRE)–Paramahamsa Nithyananda, founder of Nithyananda Dhyanapeetam and Life Bliss Foundation, today visited Puttaparthi and paid his last respects to Bhagavan Sri Sathya Baba, who entered into Mahasamadhi on 24th April 2011. He was received by the senior members of the organization. 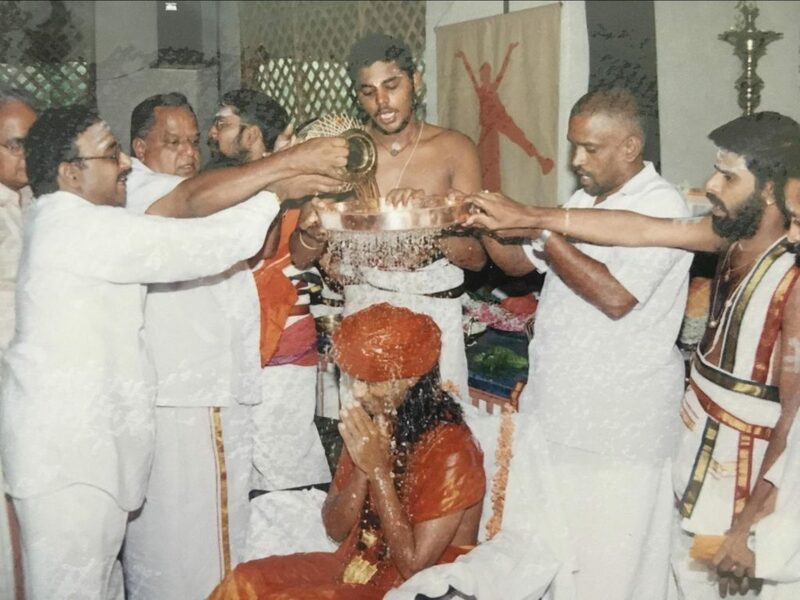 Following are the pictures taken on 12th June 2004 on the divine occasion of coronation of His Divine Holiness Nithyananda Paramashivam by a representative of Sri Satya Sai Baba. 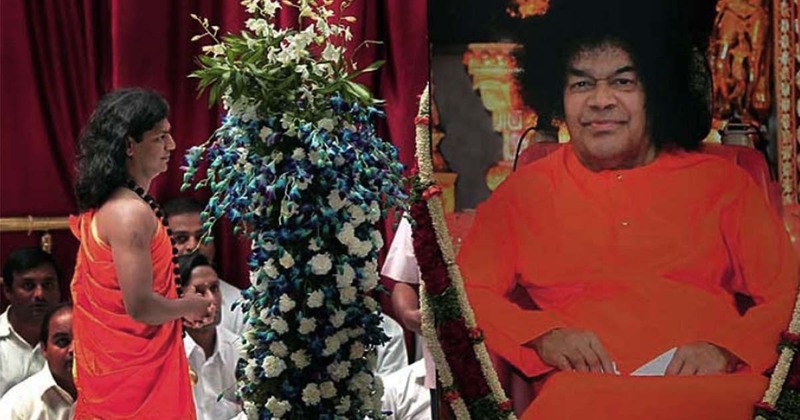 Bhagavan Shri Sathya Sai Baba brought by the devotees of Shri Satya Sai Trust, placed alongside the Shiva Linga in the Ananda Sabha, Nithyananda Peetham, Bengaluru Aadheenam. 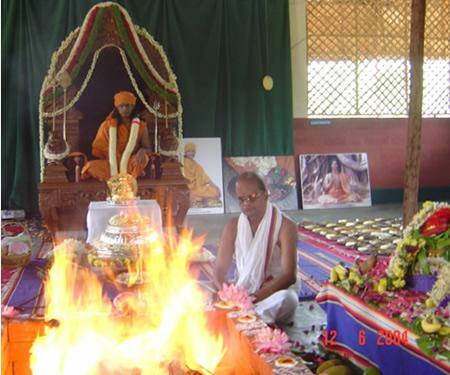 Hindu Priests who accompanied the representatives of Shri Sathya Sai Trust and Babaji’s devotees, perform the fire rituals as per the traditional Vedagamic process. 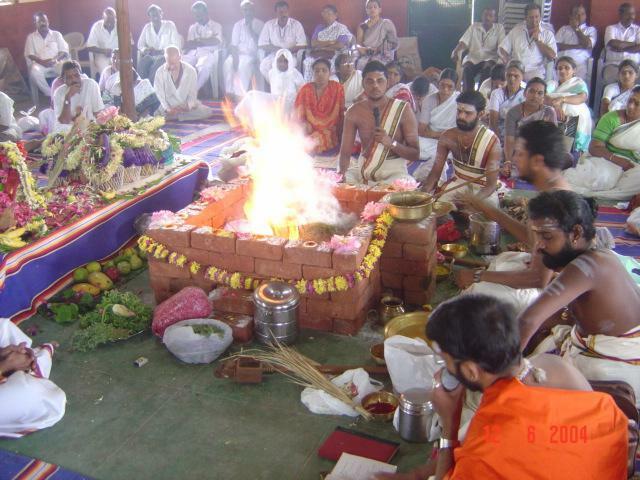 HDH Sri Nithyananda Paramashivam presides at the fire ritual being performed as part of the traditional coronation ceremony. 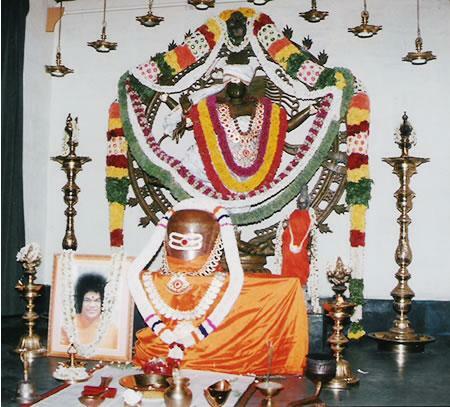 The Kirita, golden crown and the Svarna Paduka, golden sandals placed at the front of Swamiji. 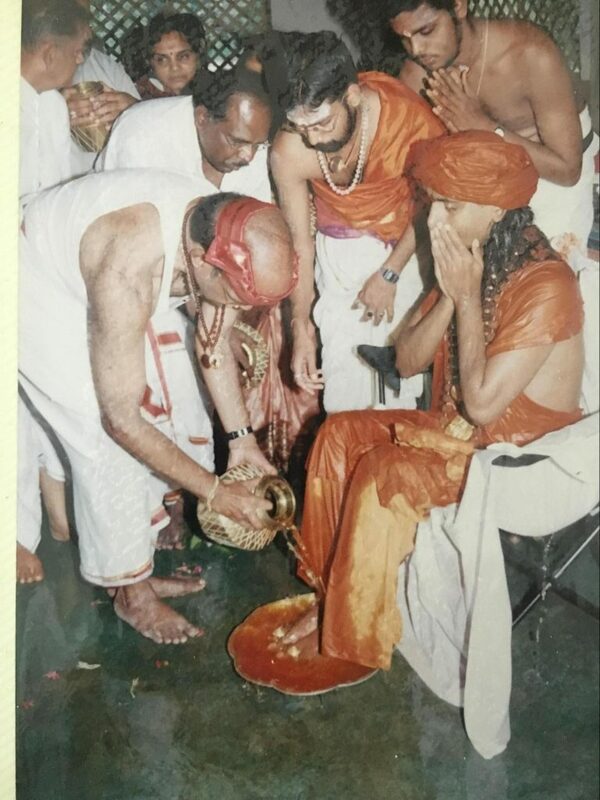 HDH Sri Nithyananda Paramashivam during the traditional coronation ceremony along with the Kirita, (the golden crown) been offered onto him. 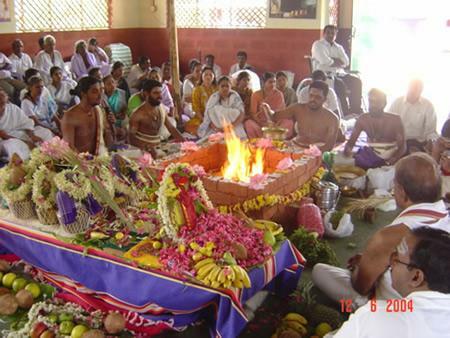 The culmination of Pattabhishekam, the formal ceremonial bath by offering the ritualistic water onto His sacred feet. 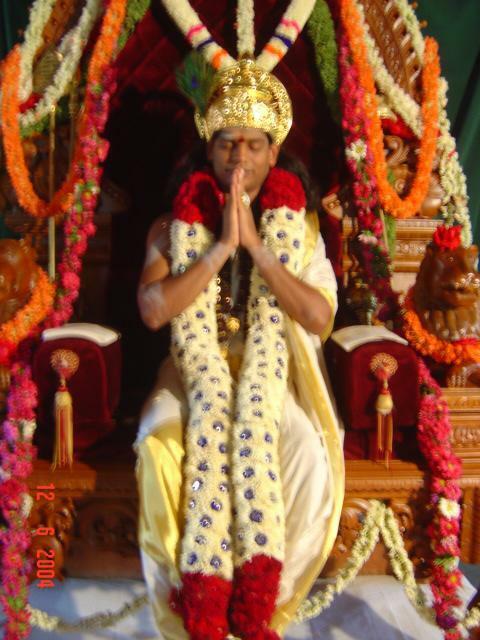 HDH Sri Nithyananda Paramashivam Swamiji adorns the Kirita, the sacred crown as the gift offering from Shri Sathya Sai Baba. 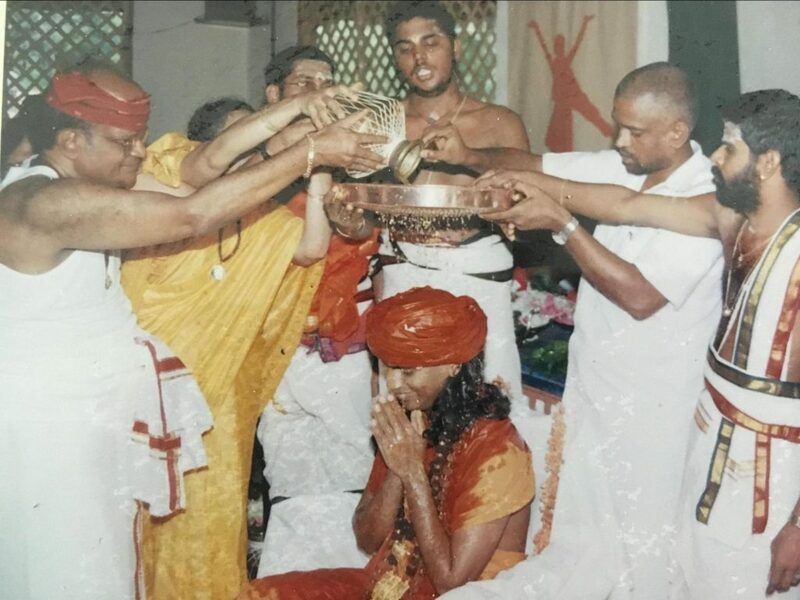 HDH Sri Nithyananda Paramashivam offered the Kirita, the sacred crown as gifted by Shri Sathya Sai Baba, during the coronation ceremony. 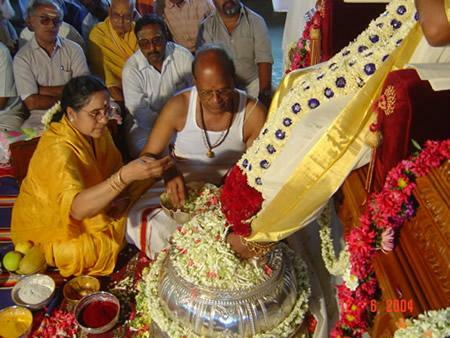 The President of the Sri Sathya Sai Trust and his wife, offer Paada Puja (the traditional worship of sacred feet of the Avatar) to HDH Sri Nithyananda Paramashivam on the Swarna Padukas. 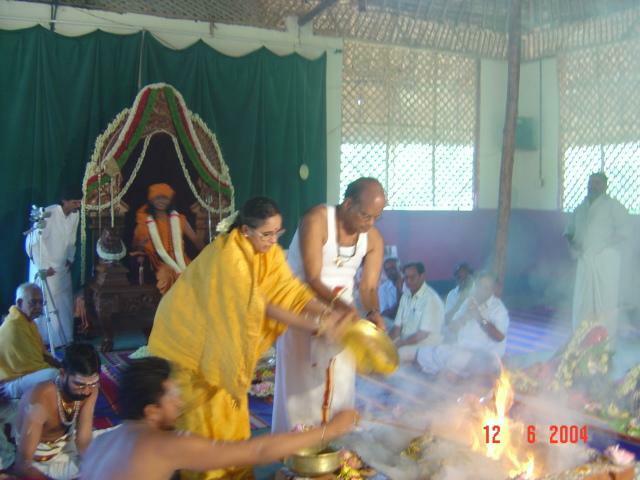 The President of the Sri Sathya Sai Trust make the fire offerings during the coronation ceremony, in the divine presence of HDH Sri Nithyananda Paramashivam Swamiji. 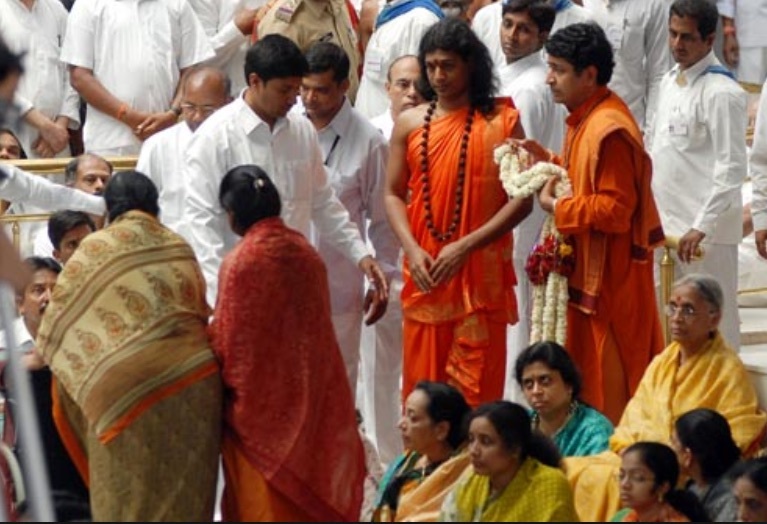 HDH Nithyananda Paramashivam blessing the President of the Sri Sathya Sai Trust and his wife, along with the devotees and the Hindu priests. 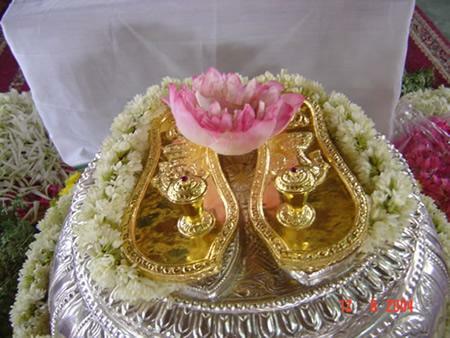 The Svarna Paduka (sacred sandals made of gold) gift offered by Bhagavan Shri Sathya Sai Baba to HDH Sri Nithyananda Paramashivam Swamiji, with the divine symbols engraved on them of conch (shanka) and chakra (discus), which are the symbols of Bhagavan Shri Vishnu. 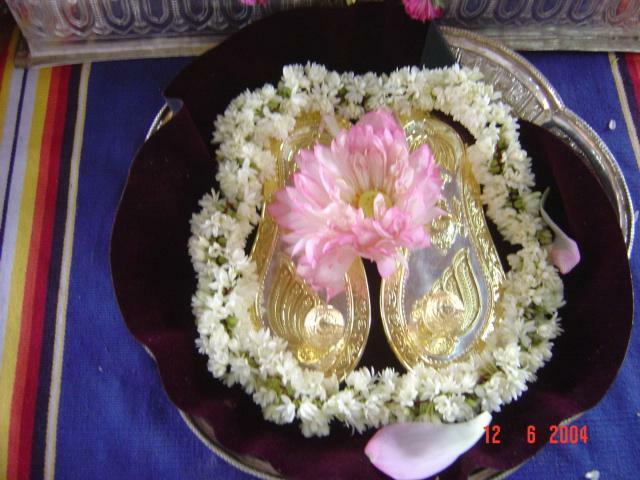 The Svarna Paduka (sacred sandals made of gold) gift offered by Bhagavan Shri Sathya Sai Baba to HDH Sri Nithyananda Paramashivam Swamiji (the second padukas). 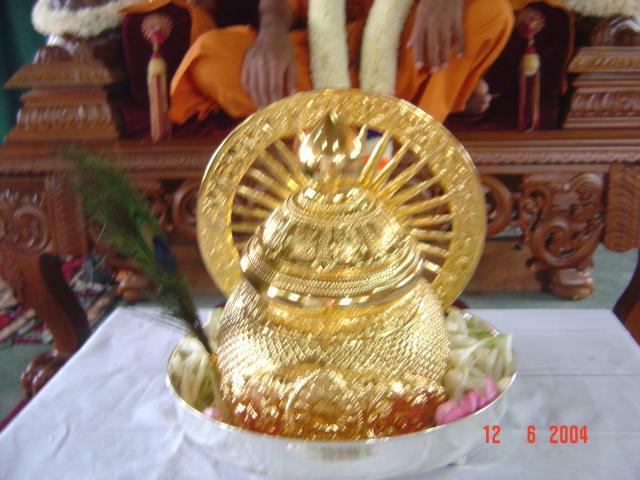 The Kirita (sacred crown made of gold) gift offered by Bhagavan Shri Sathya Sai Baba to HDH Sri Nithyananda Paramashivam Swamiji.